Apple pre-announced the update on Wednesday morning, detailing key features that will ship in the public release this spring, such as support for music videos in Apple Music, and tweaks to the News app. The first developer's beta was released later at Apple's customary release time. 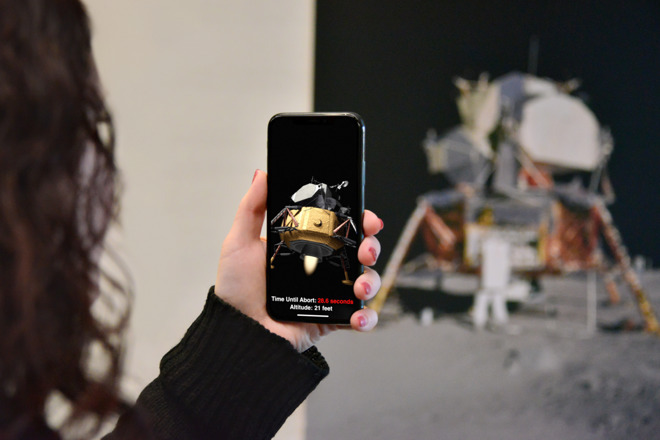 ARKit in iOS 11.3 has been upgraded to version 1.5 with updated tools for developers that will identify locations to place virtual objects on vertical surfaces, and improved mapping for irregularly-shaped surfaces. For users, ARKit 1.5 will offer a 50-percent greater resolution when used to view the real world through the device's camera feed. Apple's Health App has a new Health Records feature intended to help hospitals and clinics to share patient data more easily, one that already has the support of 12 U.S. healthcare providers. Multiple providers will be able to provide data and results to each other, which is kept encrypted and protected with a passcode, with patients also able to see available data from all participating medical providers in one place, including notifications relating to lab results and medications. Other features in the release include support for Advanced Mobile Location Support for iPhone location for first responders, four new Animoji for iPhone X owners, and a renaming of iBooks into Books before a planned upgrade. A promised Apple Music music video expansion has not arrived as of yet. The new software should be unchanged from the developer beta test version, except for its availability. People registered with Apple's Beta Software Program can find it through the Updates tab at the Mac App Store.